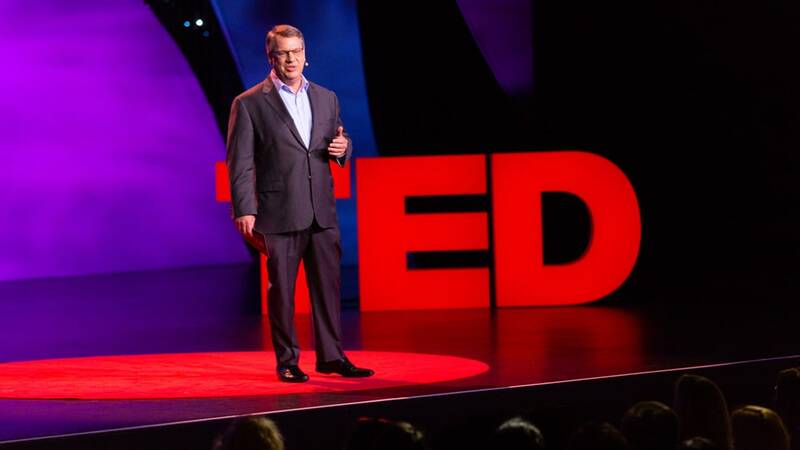 BCG’s CEO, Rich Lesser, welcomes you to our 2018 TED@BCG event. The spirit of rebooting, says Rich, is not just about incremental improvement. It is the chance to employ fundamental changes to the way we approach technology, globalization, social responsibility, ways of working, and more. How Do We Stop the Massive Inequality Dominating the World Economy? How can you create something beautiful out of something that’s devastating? Anirudh Sharma shows a device that transforms air pollution, which leads to millions of deaths each year, into ink. Our speakers hail from a diverse set of industries and backgrounds, bringing perspectives on art, language, medicine, technology, and more. Together, they demonstrate the sweeping nature of our need to reboot. Alexander Belcredi has been working in the pharmaceutical space for over a decade. He spent nine years at BCG where he was part of the global Healthcare team, focusing on Pharma and Medtech. While at BCG, Alexander became acutely aware of the urgent need to develop alternatives to antibiotics and was fascinated by the role that phage therapy can play. In 2017, he co-founded PhagoMed Biopharma GmbH, a biotech company developing phage-based pharmaceuticals to treat bacterial infections, where he is now the CEO. Alexander holds an MA in Modern History and Economics from the University of St. Andrews as well as an MBA from INSEAD. Arindam Bhattacharya is a BCG Fellow and Senior Partner in BCG’s New Delhi office and worldwide co-leader of the BCG Henderson Institute in Asia. His 2008 book, Globality: Competing with Everyone from Everywhere for Everything, defines a 'post-globalization' world--an era in which developing economies are fierce competitors to the world’s major powers. Before BCG, he worked for A.T. Kearney, Tata Economic Consultancy Services, Eicher Goodearth Group and Warwick Manufacturing Group. Arindam holds a PhD and master’s in Manufacturing Engineering from the University of Warwick, a PGDM from the IIM in Ahmedabad, and a Bachelor of Science in Engineering from IIT in Kharagpur. Senior Partner and BCG Fellow François Candelon is a core member of the Technology, Media & Telecommunications practice at BCG. Based in China, his current research examines the new digital world order and its impact on wealth distribution, national competitiveness and social stability. François holds engineering and economics degrees from Ecole Polytechnique and Ecole des Mines de Paris. Author, social psychologist and professor Dolly Chugh focuses on the psychology of good people. She teaches at New York University's Stern School of Business in the full-time MBA program and the NYU Prison Education Program. Her book, The Person You Mean to Be: How Good People Fight Bias, was published by HarperCollins. Prior to becoming an academic, Dolly worked in the corporate world for 11 years, and received her BA from Cornell and her MBA and PhD from Harvard. Martin Danoesastro is a Senior Partner in BCG’s Amsterdam office and the Global Leader for Digital in the People and Organization practice. Since joining BCG over two decades ago, his work has focused on agile transformation and the effect of digital advancements on organizations and ways of working. Martin holds a Master of Science degree in applied physics from Delft University of Technology and an MBA from the Kellogg School of Management at Northwestern University. Julia Dhar is a champion of ideas, facts and constructive disagreement. She won the World Schools Debate Championships three times, coached the New Zealand Schools’ debating team to their first world debate championship win in 15 years, and was the coach of the two-time world champion Harvard University debate team. Julia is currently the co-founder and leader of BeSmart, BCG’s Behavioral Economics and Insights initiative and is a Principal in BCG’s Boston office. She designs complex system transformations for clients in the public and private sectors. Julia holds a master’s in public policy from Harvard University’s Kennedy School of Government and a BA in economic and social sciences from the University of Sydney. Her book, The Decision Maker’s Playbook: 12 Tactics for Thinking Clearly, Navigating Uncertainty, and Making Smarter Choices, is set to be released in 2019. A pioneer in 3D printing, Dara Dotz combines her expertise in design strategy and rapid assessment to empower others through technology. As the co-founder of Field Ready, an NGO focused on manufacturing humanitarian supplies, she brings 3D printers to resource-deprived sites to produce essential medical supplies, replacement parts and more while simultaneously training locals in multiple countries. Prior to Field Ready, Dara worked as Human Factors Lead for Made In Space, Inc., a company that builds and operates the first gravity-independent 3D printer on the International Space Station. She has lectured at the UN, World Bank and Exponential Medicine and was recognized by the Obama Administration as a Champion of Change. Dara has a BS in Industrial Design from MSCD. In her free time she flies drones, works on AI optimized cars and learns about medicine for remote environments. Lawyer and art historian Amy Herman is an expert in using works of art as a tool to sharpen observation, analytical and communication skills. In 2000, as the Head of Education at The Frick Collection in New York City, Amy developed her Art of Perception seminar to improve the observation and communication skills of medical students with their patients. She subsequently adapted the program for a wide range of professionals and today leads sessions internationally for the NYPD, the FBI, the French National Police, the Department of Defense, Interpol, the US State Department, Fortune 500 companies and more. Amy holds a BA, JD and MA in art history. Her book, Visual Intelligence, was published in May 2016 and was on the New York Times and Washington Post best sellers’ lists. Chieh Huang is Co-Founder and CEO of Boxed, a disruptor of the wholesale shopping club experience that enables you to purchase bulk-sized items online, delivered directly to your door. Boxed prides itself on being one of only a few tech companies that writes its own software, builds its own automation robotics in-house and runs its own fulfillment centers. Prior to founding Boxed, Chieh served as the CEO of Astro Ape, one of the first mobile social gaming studios. After leading the acquisition of Astro Ape by Zynga, Chieh was made Director of Zynga Mobile NY, heading up the fastest and most efficient game team at the company. Chieh has been named by Bloomberg Businessweek’s 50 people to watch in 2018, the National Retail Federation’s list of People Shaping Retail’s Future in 2017, as one of Crain’s 40 Under 40 in 2017 and Goldman Sachs’ list of 100 Most Intriguing Entrepreneurs in 2016. Chieh has a BA from The Johns Hopkins University and a JD from Fordham University. Viola Llewellyn has spent over 15 years in management, consulting, technology and the alternative finance sector. She is the Co-Founder and President of African FinTech innovator, OVAMBA, which grows African small and medium enterprises (SMEs) in the trade and commodities sectors. The company builds proprietary, culturally sensitive tools to measure SME risk and ultimately drive financial inclusion. As President, Viola spearheads strategy, business development and investor relations globally. She is on the advisory board of the Women Economic Imperative, African Women’s Payment Network and European Women in Payments Network. Elizabeth “Liz” Lyle is a Principal in BCG’s Boston office, and a core member of the People and Organization Practice and the Leadership and Talent Enablement Center. Liz collaborates with organizations on the topics of leadership, talent, culture and transformative change. She holds an MBA from Harvard Business School and a Bachelor of Science in commerce from the University of Virginia. When she’s not working, Liz is learning how to ride a road bike, reading up on WWII history and playing with her dog. Vinay Shandal is a Partner in BCG’s Toronto office. He heads the Canadian Principal Investors and Private Equity practice and is an expert in shareholder activism. He also helps lead BCG’s Centre for Canada’s Future, which provides insight on how to tackle the country’s most pressing issues. Before joining BCG, Vinay practiced law for several years at Cravath, Swaine & Moore LLP and Wachtell, Lipton, Rosen & Katz and clerked at the Supreme Court of Canada. He holds an LLM from Cambridge University and an LLB and BCL from McGill University. Anirudh Sharma is the founder of Graviky Labs, an MIT Spinoff that pioneered the science and logistics of capturing air pollution and upcycling it into high-quality AIR-INK (inks made from air pollution). Before Graviky, Anirudh co-led the non-profit MIT Media Lab India Initiative and invented the Lechal smart shoes for guiding the blind. Anirudh won the MIT TR35 Innovator of the Year award, and was recognized in the Forbes 30 Under 30 list and by VICE for his contributions to building impact with technology. Jim Whitehurst is an advocate for open software as a catalyst for business innovation. As the President and CEO of Red Hat, the world’s leading provider of open source enterprise IT software solutions and services, Jim spearheaded growth of revenue from $500 million for the company’s 2008 fiscal year to almost $3 billion for the 2018 fiscal year. His 2015 book, The Open Organization: Igniting Passion and Performance, focuses on how open principles of management, based on transparency, participation, and community, can help organizations navigate and succeed in our fast-paced connected era. Nadjia Yousif is a Partner and Managing Director at BCG, based in London. She advises global financial institutions on technology-driven strategy, organization and large-scale change management in the digital age. She holds dual Bachelor of Science degrees from MIT and an MBA with distinction from INSEAD. A passionate advocate for empowering individuals and technology in the workplace, Nadjia also leads Diversity & Inclusion for BCG in the UK and has published several articles on topics related to diversity and technology. Kiran Gandhi, known by her stage name Madame Gandhi, is an electronic music artist and activist based in Los Angeles. She studied mathematics at Georgetown University and worked as the first ever data analyst at Interscope Records before going on to receive her MBA from Harvard University. Having gained recognition as the former drummer for artists M.I.A. and Kehlani, and as the viral free-bleeding runner at the 2015 London Marathon, Madame Gandhi now produces music that elevates and celebrates the female voice. In 2016, she released her first EP Voices and in 2017, she toured as the opening act for Ani DiFranco. Madame Gandhi is currently working on her debut full-length album which is set to release in the fall of 2018. Amber Galloway-Gallego is a sign language interpreter specializing in the interpretation of music into American Sign Language. Often praised for her ability to show the connection between lyrics and sounds, her unique interpretations bring music to life. Her goal is to bring equivalent and universal access to music entertainment to the deaf and hard of hearing. Frank Müller-Pierstorff is the Global Creative Director at BCG. He previously served as the Chief Design Officer for EyeEm and Chief Creative Officer at MONOQI, and developed his creative expertise at BBDO, Deutsche Telekom, Ogilvy and WPP. He received a law degree from The University of Freiburg and an associate’s degree in digital & print media from the College of Media Design at Darmstadt University. Sit in on a conversation between BCG’s Shalini Unnikrishnan and Michael Ringel; they share their experiences as former TED speakers and discuss the Reboot event. Learn what it takes to prepare a TED Talk from two TED veterans: Amy Rule, senior manager for BCG’s external relations, and Briar Goldberg, speaker coach director for TED. In 2017, more than 500 executives, entrepreneurs, and thought leaders gathered in Milan to explore the theme "Break the Mold." Each year, new ideas abound. Past speakers extract meaning out of everything from natural disasters to the super bowl.